The Feeling - Welcome Home! 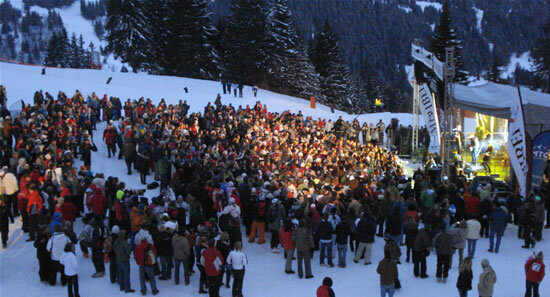 The main gig was on an outside stage next to the Rond Point in Méribel free access for everyone and a collection for a local charity was made. Support acts kicked off around 3pm with The Feeling on stage about 6pm. All their big hits plus loads of covers, just like the old times including TV Themes The A Team and Grange Hill, plus Take on Me, Video Killed The Radio Star, Livin' on a Prayer, Walk like an Egyptian, Nobody Does It Better (remember those James Bond Parties? ), Lose Yourself and You Gotta Fight For Your Right To Paaaaaarty! Méribel - Fighting for their right to Paaaaaaaaaaaaaaaaaaaaaaaaaaaaarty! A surprise gig at the Ronnie at Aprés Ski on Tuesday - It should have been Fourplay but The Feeling turned up instead! At 4:30 there was hardly anyone in then suddenly they had to close the doors with one in, one out. Everyone was singing, they played all the hits plus VKTRS and The A Team theme as well - a very special place to be. 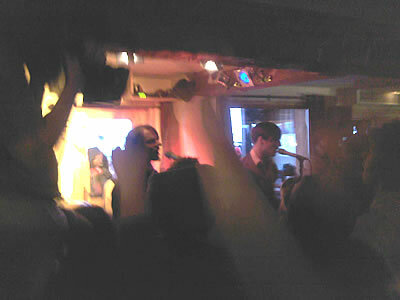 Then on Wednesday night they turned up at The Doron Pub in Méribel and played to a surprised packed, hot and sweaty crowd - another great gig to live in the memories of all who happened to be there. 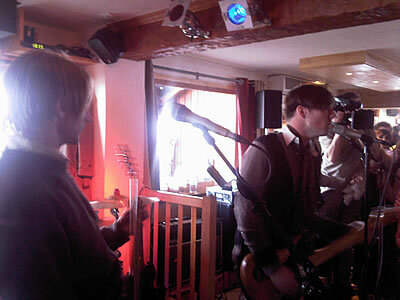 The Feeling playing inside at The Rond Point on Tuesday Aprés Ski. Packed on to the small stage they played to a very lucky audience. 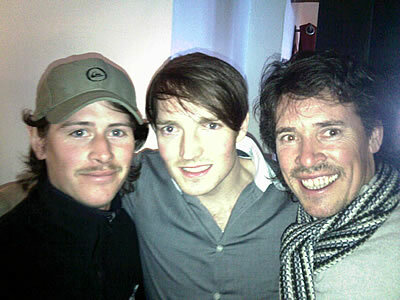 Last pic of Dan posing with Tris and Tim from The Ski Lodge. The most sought after ticket in Méribel this week for the after show party at Scotts. Richard and Sophie DJ'ing the night away with a completely eclectic mix of music - great stuff. It all ended up rather hazy and thanks to who ever drove us back to La Tania in the early hours... The following day was spent in the Heathrow Terminal 5 madness with the mother of all hangovers. Worth it though! More on The Feeling in La Tania, their 1m selling album, their new No 1 album, a few gig reviews, old pics and stuff here.